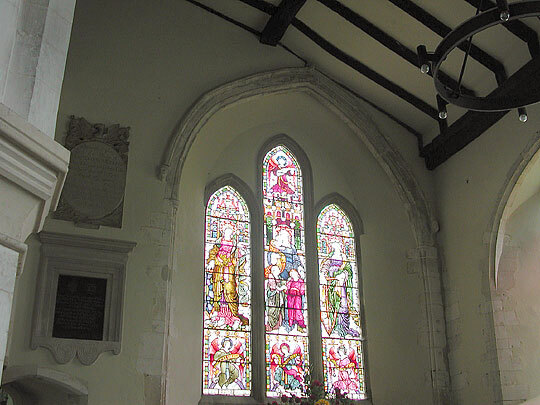 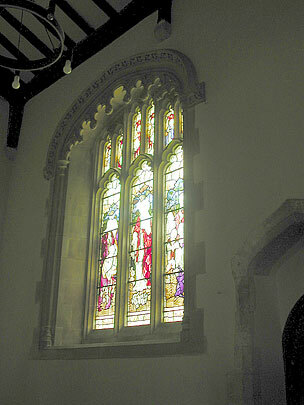 Both aisles have C15 three-light windows in the side walls, the N aisle also has an elaborate C19 window. 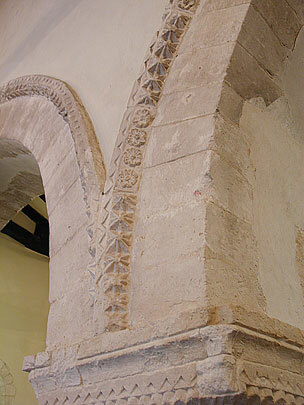 Eastern part of nave: The N wall of the Saxon chancel survives - the evidence is a section of string course high up on the formerly external side (now N arcade). 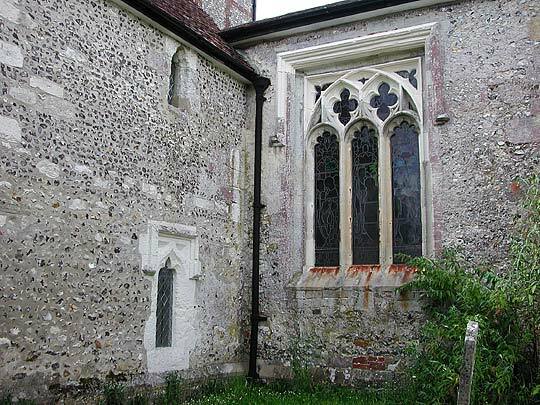 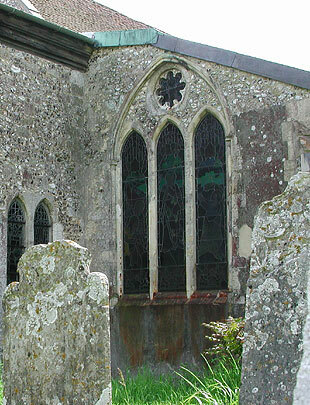 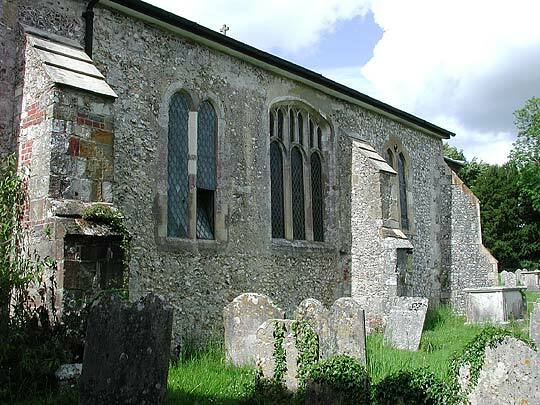 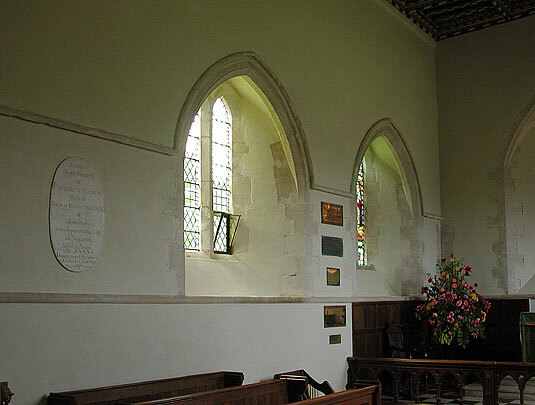 This wall is pierced by a single flat-sided pointed arch (into earlier chancel east of original shorter nave). 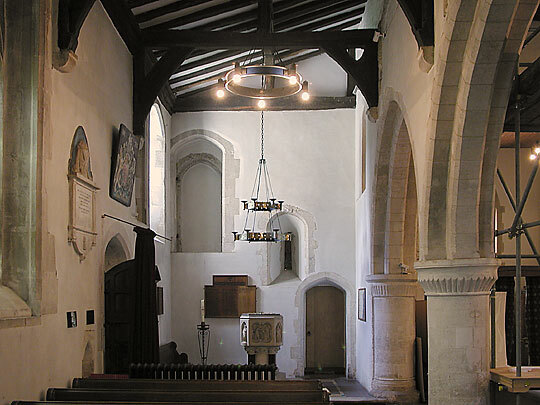 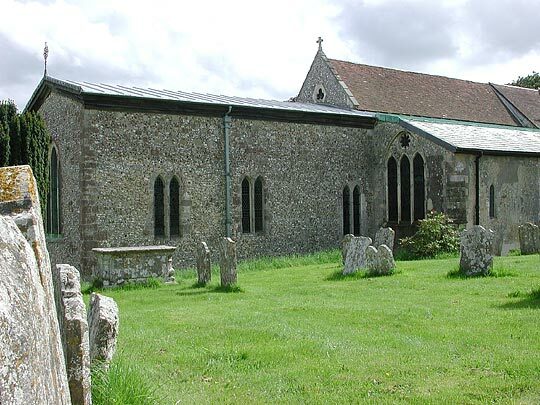 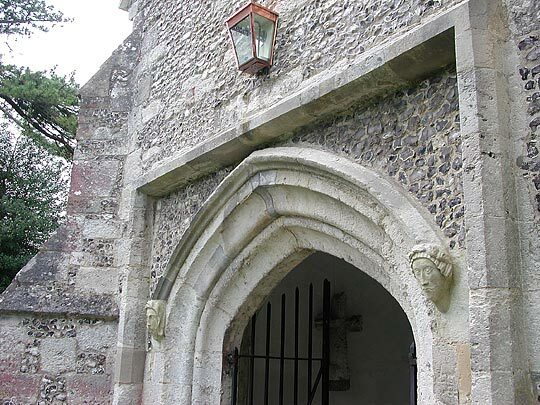 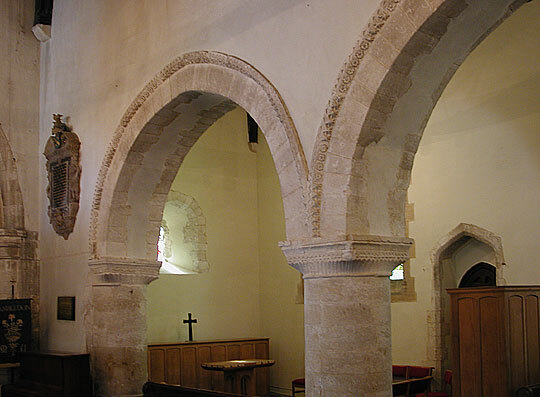 Further E is a two-bay arcade of plain round piers and capitals, and arches of two chamfered orders (this is the lengthening of the chancel in the 13th century). 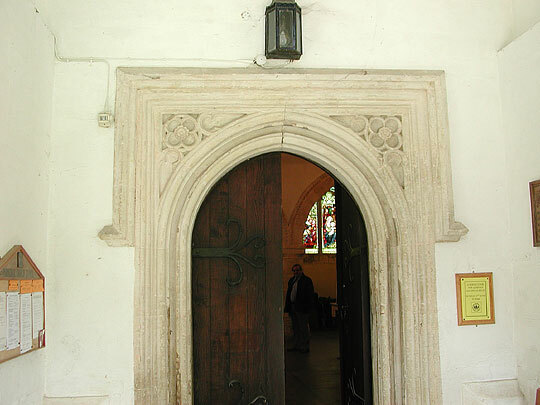 The S arcade is three-bay, with octagonal piers and capitals, and arches of two chamfered orders; it seems slightly later than the corresponding N arcade. 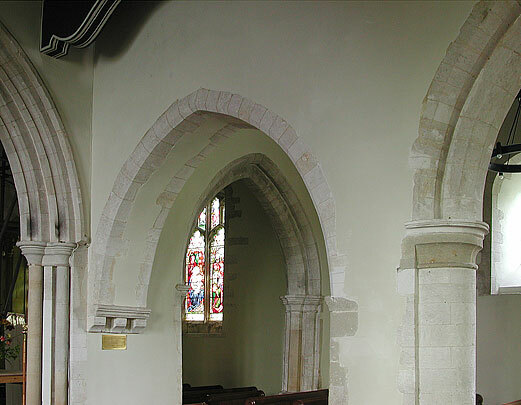 The third picture shows the nave side of the flat-sided arch shown in the first picture, i.e. 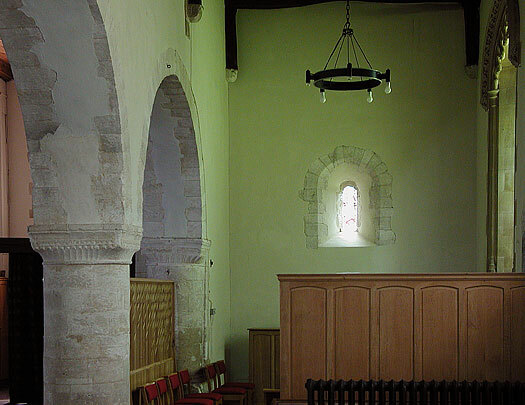 in the position of the earlier chancel. 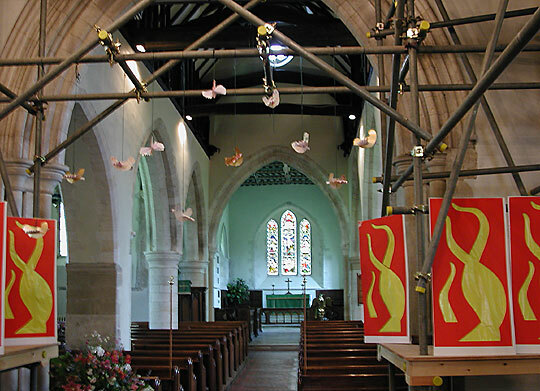 To its left the original chancel arch which now merely separates the west and east parts of the nave - seen through scaffolding in last picture. 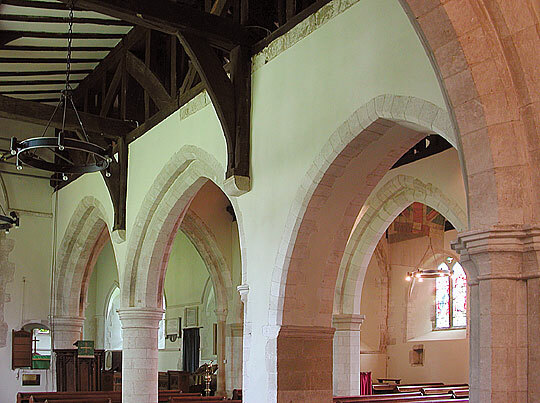 The original chancel arch is a fine piece of early C13 work, of two orders, with deep round mouldings and engaged shafts to the responds. 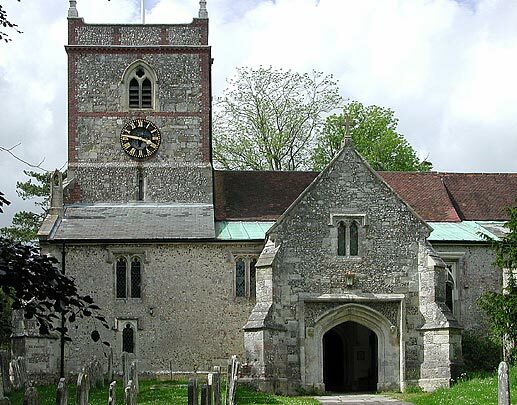 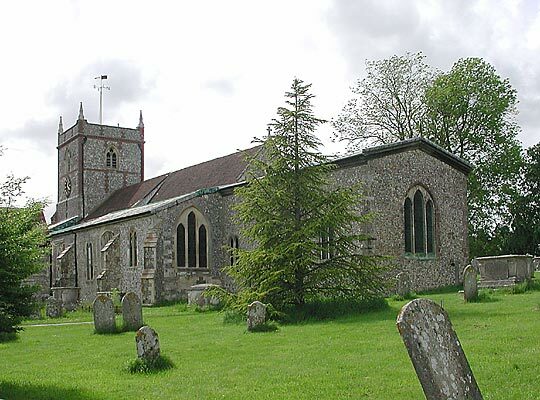 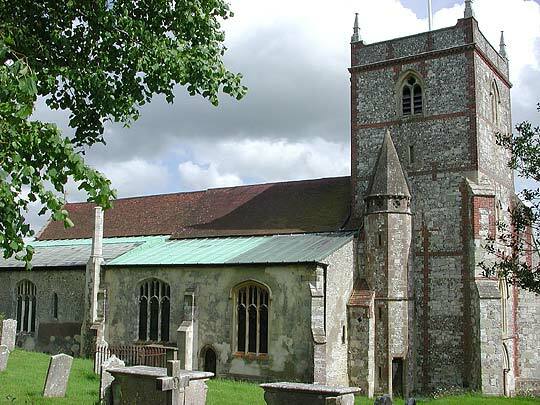 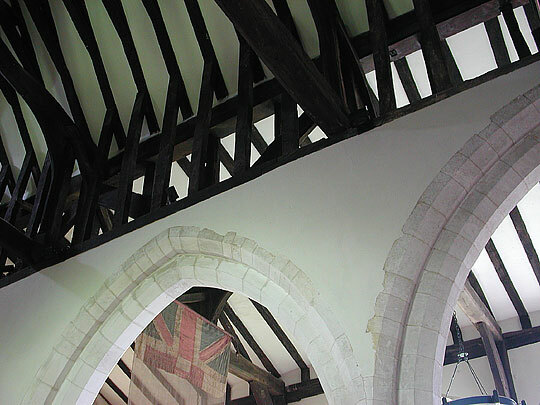 The roofs are mainly medieval, They have tie-beams and collar-beams and the odd thing is that, on the walls of the nave, posts were erected without infilling. 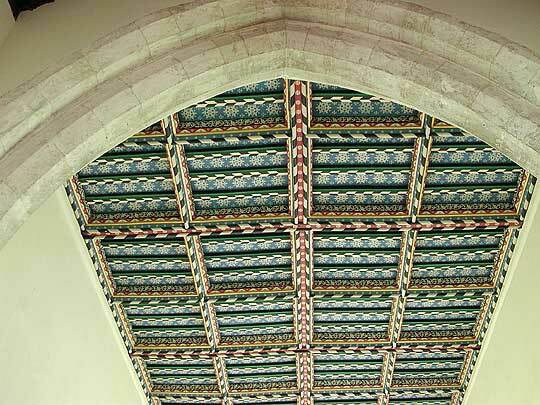 They are connected by big diagonal struts and carry a long longitudinal beam on which the nave roof proper starts. 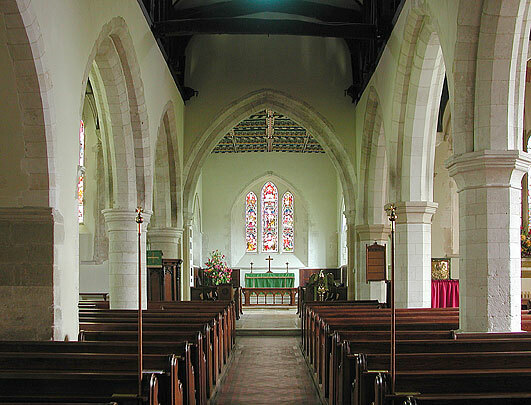 The beams of the aisle roofs rise at a lower pitch and meet those of the nave by the big longitudinal beam. 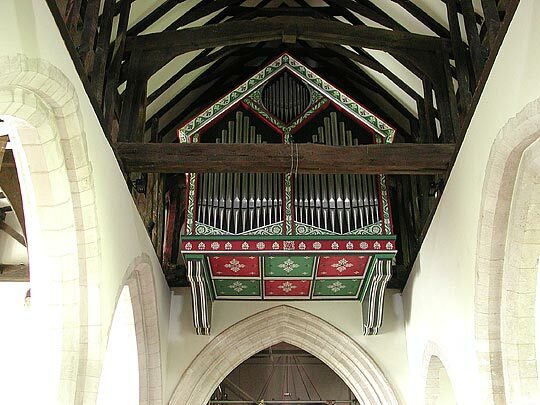 The organ on the east wall above the nave arch is modern (1969).